Sally D. Ketchum is a teacher with national honors who also writes award-winning fiction and poetry for both children and adults. Her book, Bread Garden, a multicultural novel, was nominated to the Michigan notable book list. Ms. Ketchum’s picture book, Moon Wants, was a prize winner at the San Francisco Writer’s conference. Spencer Quinn’s new book is Woof, and Woof is a delightful contribution to children’s literature. Quinn has written a book that is bound to become a classic. The astonishing success of Phillip Margulies’ first novel is not accidental. A Dog Named Boo by Lisa J. Edwards will please dog lovers, but it is much more than a good dog tale. Rebecca Stead covers a lot of ground in her new middle grade mystery Liar and Spy. “Charlie Newton’s second thriller is as brilliant as his much awarded Calumet City. “Mr. Harrison writes of the higher truths that he not only sees, but also lives. 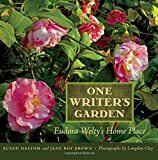 He might be a called the Philosopher King of earth—and so might his protagonist, Sunderson. . . .
“One Writer’s Garden is a handsome, durable book. If a reader has interest in gardens and also American literature, it will prove nearly irresistible. “Molly Birnbaum’s memoir might be the best food-related book of 2011. . . .
“It’s all there for the reader to expect the unexpected. Timing, so important in comedy, is also exacting in the Mr. Norman’s expert hands. . . .
“Only seven of her nearly 1,800 poems were published while she was alive, but most of Dickinson’s verses were published by [Thomas Wentworth] Higginson after her death. “Anatomy of Influence: Literature as a Way of Life is critical addition to the classic canon of Western literary criticism. Like Dr.
A headless corpse appears on Lacey’s lawn. And that is how what author Lisa Lutz calls her first “proper crime novel” begins. Is Scottish writer Kate Atkinson brilliant or quirky or both? Successfully mixing two genres—comedy and crime—is a daunting task, but talented writers, like Tim Dorsey, manage to accomplish what readers seek in the mixture of the two. “FACT: The Police Service has for many years used criminals as covert human intelligence sources. A cooperation that is denied and concealed. Cliff, a former Michigan English teacher turned farmer finds himself in a midlife crisis when his wife suddenly leaves home for another man.